A NEW REPORT from the Environmental Protection Agency (EPA) has warned that exposure to microplastics in our drinking water and in food prepared with contaminated water poses a risk to the population. This is the first such report to provide evidence on the sources and scale of microplastic pollution in Irish freshwaters, and it says that the problems must be tackled at source rather than trying to deal with the pollution after it occurs. EPA research manager Dr Alice Wemaere said that the research provides vital data and urges consumers to check their product labels for cosmetics and cleaners to ensure they are microplastic free. Microbeads are mostly used in some soaps, shower gels and facial scrubs to exfoliate your skin, although they can be found in toothpastes and abrasive cleaners. The tiny plastics (usually between 0.0004-1.24 mm wide) enter the world’s waterways in their billions, and because of their size, are almost impossible to remove. In waterways, fish and other wildlife mistake the tiny scraps of plastic for food and from there, the beads are integrated into the food chain. This research identified some of the main sources of microplastics in Ireland. They include the plastics manufacturing and recycling industries, landfill, urban wastewater treatment plans and septic tanks. Urban wastewater treatment plants were identified as one of the main sources of microplastics. 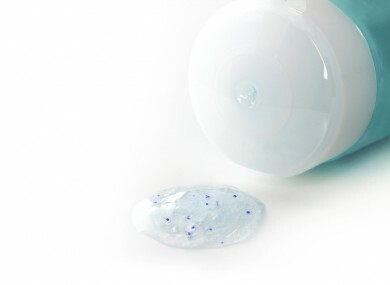 Researchers from Galway Mayo Institute of Technology (GMIT) said that microbeads washed into the sewer from personal care products was not the only way that microplastics made it into the water. She added that these fibres often become trapped in sewage sludge at treatment plants and pose a risk to agricultural land. Exposure to microplastics if present in drinking water or via consumption of food prepared using contaminated water. Consumption of freshwater fish, such as salmon or trout, that have been exposed to or have ingested microplastics. Accidental ingestion of water through bathing. Furthermore, 24 different species were identified as being potentially at risk from microplastics, from molluscs and fish to birds and mammals. A range of parties have proposed new legislation to ban microbeads and microplastics in recent times. In April, the government said it would bring forward legislation banning the sale of products that contain microbeads, calling the Green Party’s previous bill ‘significantly flawed’ and accusing Labour’s bill of ‘generally confusing’ microbeads and microplastics. Senator Grace O’Sullivan, who proposed the Green Party’s bill on the matter, said in a statement: “This very timely report has shown our fears about the level of plastic pollution in our seas are well founded. Today is World Oceans Day, and we’re yet again seeing the massive damage we are doing to these crucial habitats. I will continue the fight with my Green Party colleagues to ensure the government takes strong action to tackle plastic waste, and to support a truly ‘circular economy’ at the European and global level. We need to protect human health, as well as the health of our seas and oceans, which Ireland in particular relies on for so much. Email “Public health could be 'at risk' from exposure to microplastics in drinking water”. Feedback on “Public health could be 'at risk' from exposure to microplastics in drinking water”.